The progress in SESAR deployment continues. 16 European airports that are in the scope of IR716/2014 will receive nearly €100 million of EU public funding for investment in ATC (Air Traffic Control) related operations. The first tranche of this funding is expected to be released early next year. The EU funding will help the 16 airports (12 airport operators and 16 ATC providers) to deploy ATM processes and technologies that will optimise their operations, thereby improving performance, capacity and safety. These airports are benefiting from EU funding through the SESAR Related Deployment Airport Operators Grouping (SDAG) GEIE. The SDAG legal entity is coordinated by ACI EUROPE and secures the participation of the airport operators in the SESAR Deployment Manager, the EU-mandated body tasked by the European Commission to plan and coordinate the modernisation of Europe’s ATM network. The first call for the Connecting Europe Facility (CEF) grants for funding the implementation projects closed on 9 March 2015 for an overall public funding of over €300 million. A total of 29 projects were submitted by airport operators, 24 of which were selected by the European Commission to receive around €35 million of EU funding. There were additionally over 30 airport related projects by Air Traffic Control (ATC) providers, which were also selected. All these projects are related to Performance Based Navigation operations (PBN) and Airport Integration and Throughput. The latter encompasses Airport Collaborative Decision Making (A-CDM), Initial Airport Operational Plan (AOP), Advanced Surface Movement, Guidance and Control Systems (A-SMGCS), Time-Based Separation (TBS) and Airport Safety Net. The €100 million of EU funding for airports will be allocated to several players, thereby benefiting a diverse set of locations, as well as the network as a whole. “The ATM call Part A, which consists of projects that comply with the IR716/2014, will deliver nearly €28 million direct co-funding for airports and SDAG. There is €3.5 million additional direct co-funding in the ATM call Part B, which comprises projects that are outside the Deployment Plan. 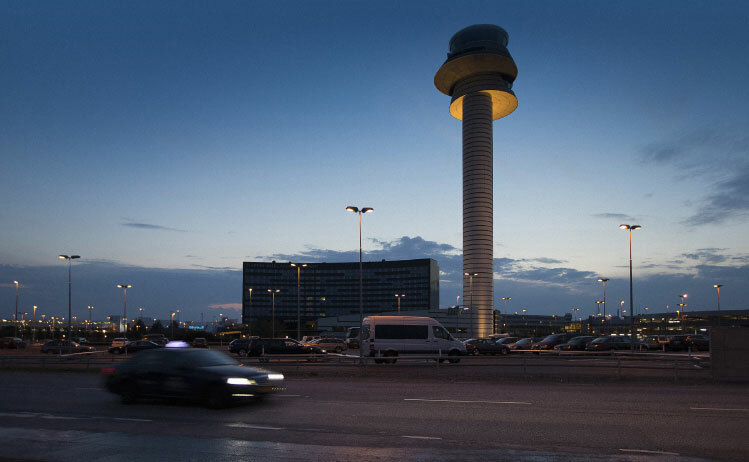 In addition, €4.8 million will be made available for Luftfatsverket, the Swedish ANSP, for Remote Towers Services (RTS) pilot operations and €63.2 million will be invested in airport platforms,” Luc Laveyne, Managing Director, SDAG and Senior Advisor for ATM and SES at ACI EUROPE, explains. A second call for the CEF funding is due to be launched in November with – expected – the double amount of public funding available for projects that fit in the Deployment Plan, compared to the first call. The European Commission (EC) is apparently considering using the Cohesion funds regulation framework to put more public funding on the table for the following 15 EU countries: Bulgaria, Croatia, Cyprus, the Czech Republic, Estonia, Greece, Hungary, Latvia, Lithuania, Malta, Poland, Portugal, Romania, Slovakia and Slovenia. These countries might get up to 85% of public funding. “ACI EUROPE will firmly encourage all airports to make a joint compliance plan with their ATC provider and to submit projects in due time in order to be given access to this funding. We will also give our support to the EC’s mooted plan to include airport operators in the Cohesion Fund scheme. Naturally, we will also seek to help these airports to submit projects, again in good consultation with their ATC provider,” says Laveyne. Projects for the second call are expected to be submitted by the end of March 2016.